There may have been a time when, if you claimed a particular parcel of land, then you were free to do as you pleased on that parcel. Of course, a quick glance around at modern cities and local, state, and federal regulations affecting land use and one quickly learns that he or she cannot do with his land as he or she pleases. 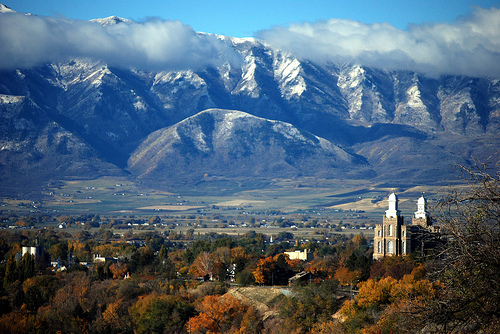 Are you thinking of purchasing land or using land for a certain purpose in Cache, Rich, Weber or Salt Lake Counties? A quick consultation with the Logan, Utah land use and real estate attorneys at Harris, Preston & Chambers, LLP can save you time and money in the long run. The firm provides counsel in land use, and related areas such as municipal and administrative representation. We represent clients on issues ranging from seeking zoning amendments to obtaining redress for governmental takings. Over the years the firm has handled a variety of problems, including quiet title, boundary disputes, prescriptive easements, claims on title insurance, establishment of public roadways, the exercise of eminent domain powers for public projects, and annexation or disconnection from municipal entities. The firm members are experienced in acquisition, development, construction, leasing and financing of commercial projects and residential developments. Related work consists of the formation of entities involved in the projects, exploring tax ramifications, abstract and title work, negotiating acquisition prices, mortgages, trust deeds and security documents, drafting restrictive covenants, instituting lien foreclosures, and working with collateral parties, such as governmental agencies, architects, project managers and contractors. WHAT DOES A LAND USE AND REAL ESTATE ATTORNEY DO? Contracts: It takes skill and experience to draft a contract whose terms are clear and that is unambiguous when it comes to the responsibilities of the parties and the consequences for noncompliance. A land use and real estate attorney may be called upon to either draft a contract or help interpret the terms and provisions of an existing contract. Land Use/Administrative: When purchasing a piece of real estate or converting land to a different use, applications may need to be completed and/or certain steps taken to comply with city or county ordinances, or state statutes. In addition, other government bodies may require certain tasks to be completed or applications be made. A land use and real estate attorney will be familiar with the regulations that impact land use projects and real estate purchases in the Utah area. Constitutional law: The U.S. Constitution as well as Utah’s constitution provide certain rights and protections to citizens, including the right to hold private property and to not be deprived of that property without due process. This generally means that the government cannot take private property without giving the property owner an opportunity to be heard on the matter and providing just compensation if the property is in fact taken. Your Utah land use and real estate attorney should be familiar with the constitutional protections afforded to private property owners so he or she can act swiftly when your rights are threatened. At Harris, Preston & Chambers, LLP, our attorneys have helped landowners, property owners, and potential buyers of land through all stages of a purchase, a redevelopment or other project or acquisition involving land and real property. Contact the Logan, Utah land use and real estate lawyers at (435) 752-3551 and visit with us about your plans and needs.